Recycling is the process of separating, collecting and remanufacturing or converting used or waste products into new materials. Recycling helps extend the life and usefulness of something that has already served its initial purpose by producing something that is useable. 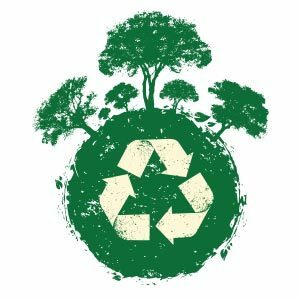 Recycling helps extend the life and usefulness of something that has already served its initial purpose by producing something that is useable. Donating your old computer to a school or charity can be a good option, but it is important to understand that obsolete equipment frequently becomes a burden for the charity. If the organization cannot easily use or upgrade your equipment, they then have to find a safe way to dispose of it. Always call first to make sure they can use your equipment. Recycling is the RESPONSIBLE thing to do. It is up to the growing numbers of individuals and companies that want to inhabit a healthier planet to make a difference. Did you know it’s illegal to throw out electronics? The “Covered Device Recycling Act” (Act 108) requires electronics be recycled and that no person may dispose of a covered device or any of its components with their solid waste. These devices and their components must be properly recycled any may not be taken to, nor accepted by landfills for disposal or processing. Covered devices include desktop computers, notebook computers, computer monitors, televisions and computer peripherals. A computer peripheral is a keyboard, printer or any other device sold exclusively for external use with a computer that provides input into or output from the computer.